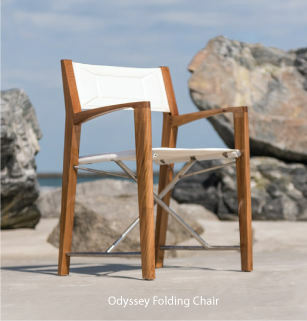 The ultimate in outdoor entertainment! 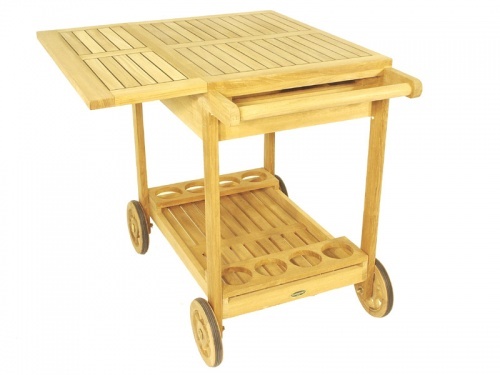 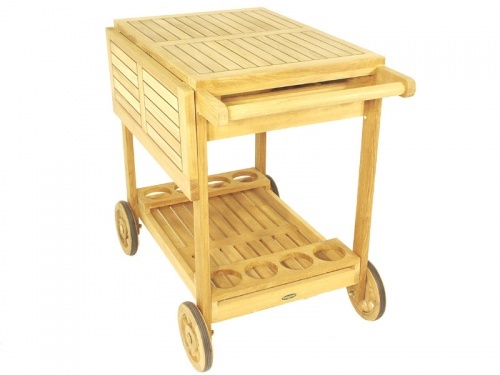 The Westminster Teak Alicante Drink Trolley is as functional as it is beautiful! 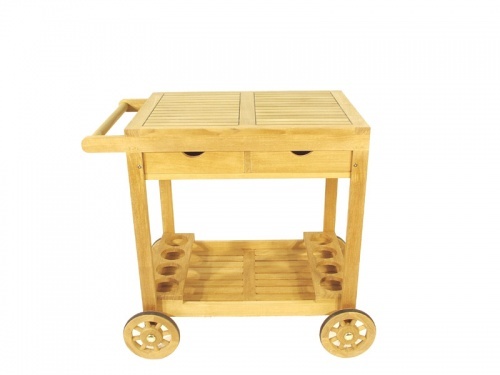 Sure to be a hit as it brings the party to your guests. 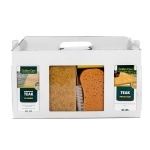 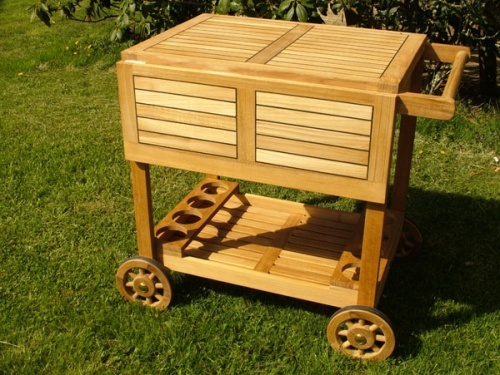 Designed with pullout drawers and a wine rack while fully mobile. 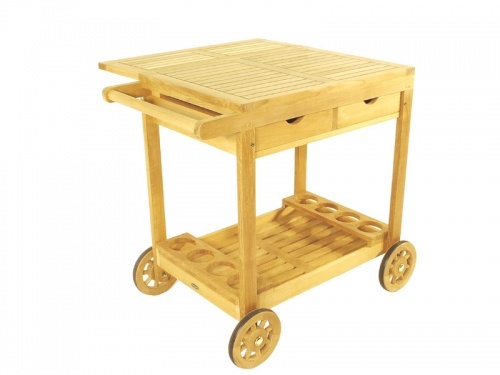 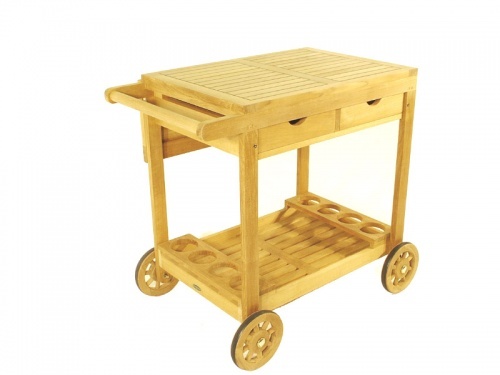 The Alicante Drink Trolley combines style with function. 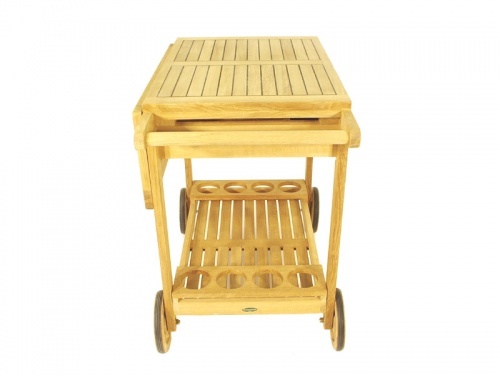 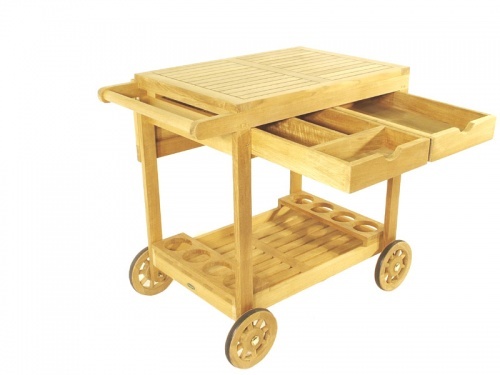 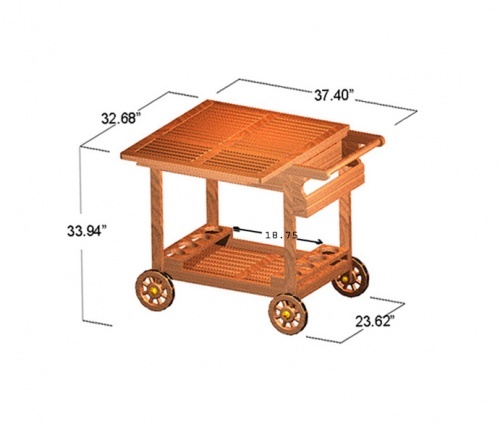 This Wooden teak drink trolley features a lift out tray, a wine rack, 3 pull out drawers, and an extendable flap for more surface area, which in turn, holds extra beer and/or wine.